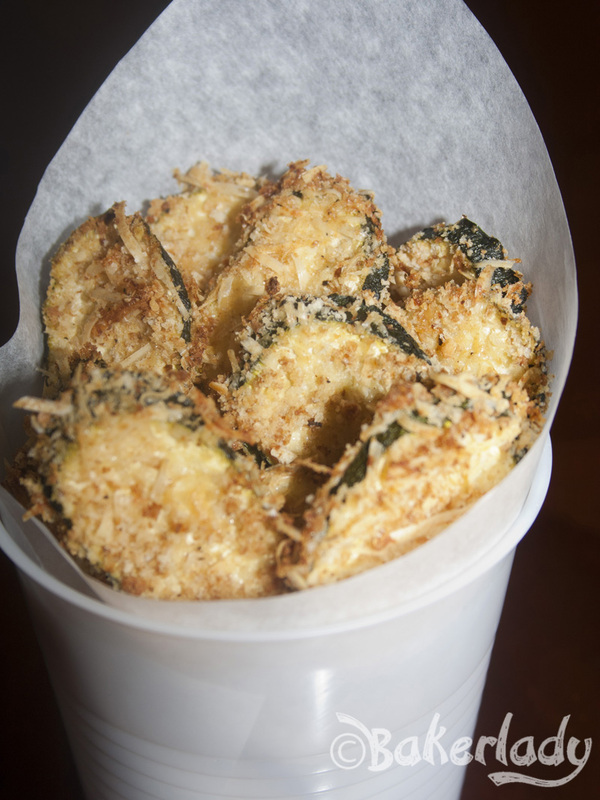 Zucchini is a really versatile ingredient. 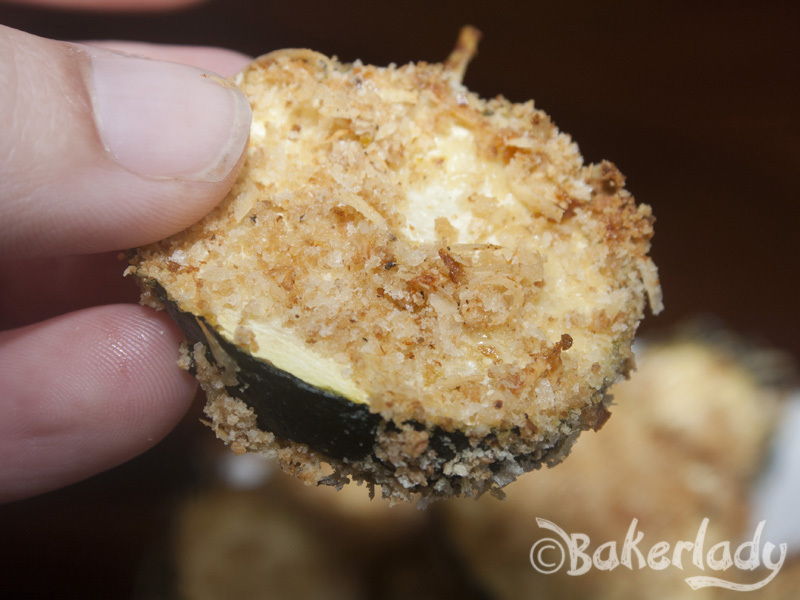 I’ve made zucchini “crab” cakes, chocolate zucchini bread, zucchini pizzas and even zucchini cookies in the past with great results. I was craving something to munch today and didn’t want to ruin the hard work I put in this week at the gym by eating an entire loaf of chocolate zucchini bread. Plus, my hubby has been after me for a snack that isn’t sweet. He says he’s sweet enough already. 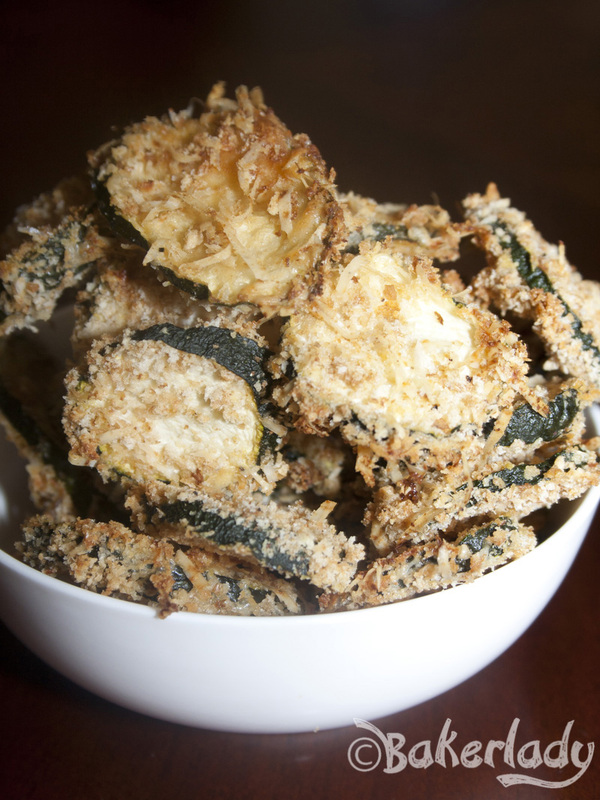 When I found this recipe for baked zucchini chips I knew Zack would love them. Bonus, they are a totally low-calorie snack that I was sure would satisfy my munchies. Super simple to make too! 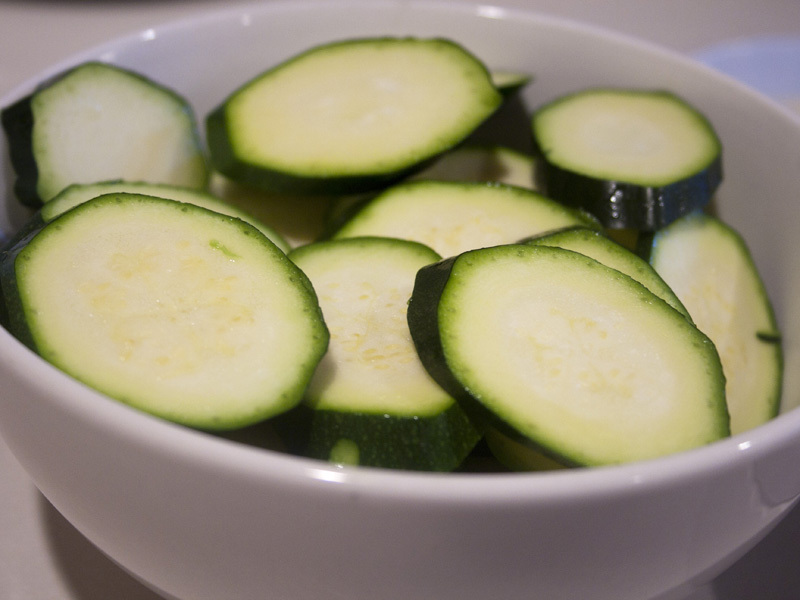 Slice up some zucchini. Dip in a little milk. 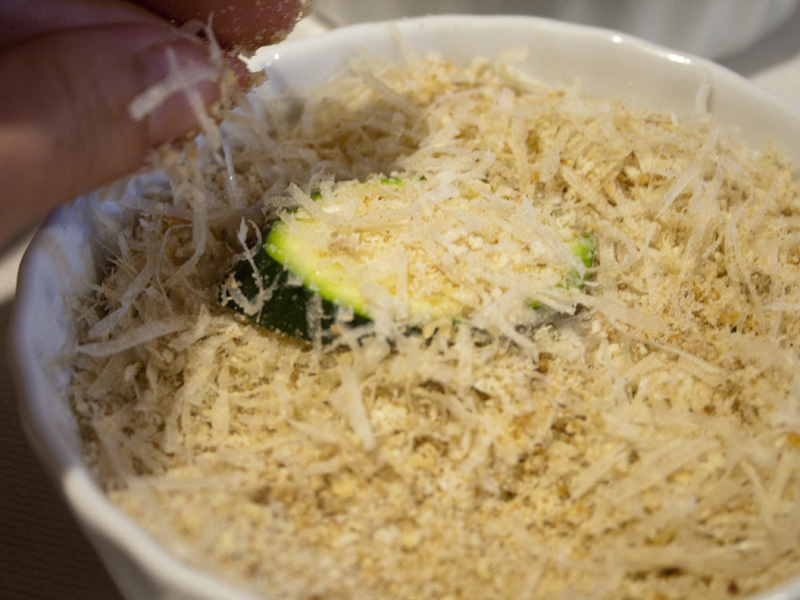 Then a dunk in some seasoned breadcrumbs mixed with Parmesan. The cheese gives these a nice tang. Set on a cooling rack set inside a baking sheet and bake em’ up until they’re nice and crisp. 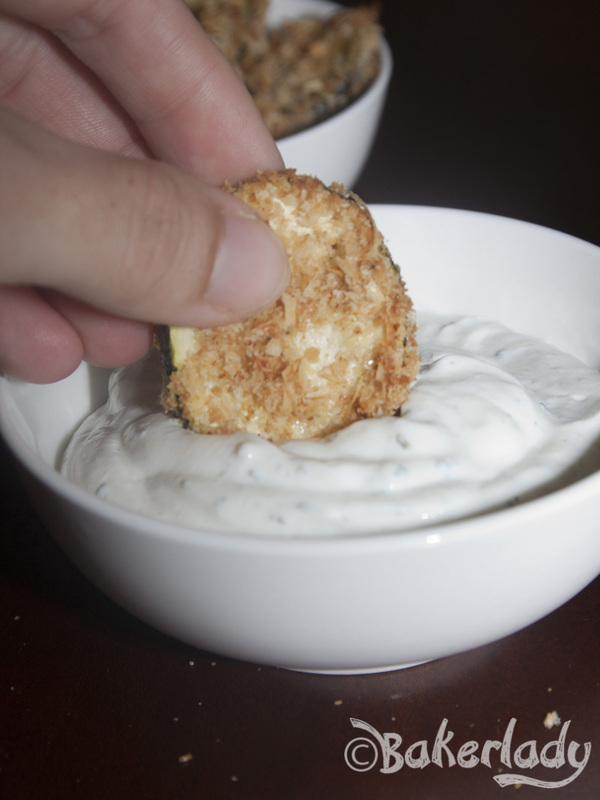 I served these up with some ranch for my hubby, but my daughter and I needed no such dipping accoutrement for them. The entire batch got gobbled up in no time and I’ll surely be making some more this fall during football season. These were really addictive. Crunchy on the outside with a soft interior, just like their fried counterparts. They are the perfect munchie snack that you can enjoy without blowing your diet! Without the ranch they are only 60 calories for about 20 chips! Yes please! 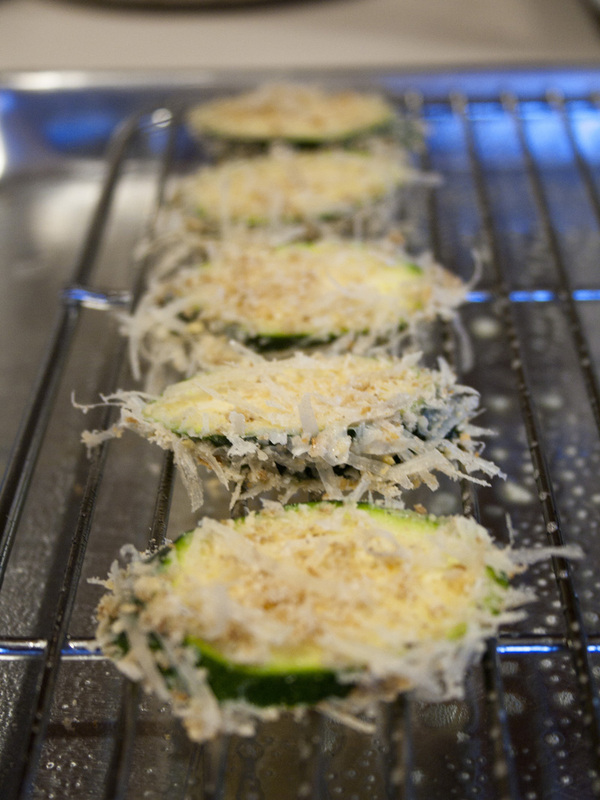 These would make a great appetizer at a party, or a delicious side for your next dinner too. Look at that crisp breading and golden baked cheese! Yuuuum, yummy! 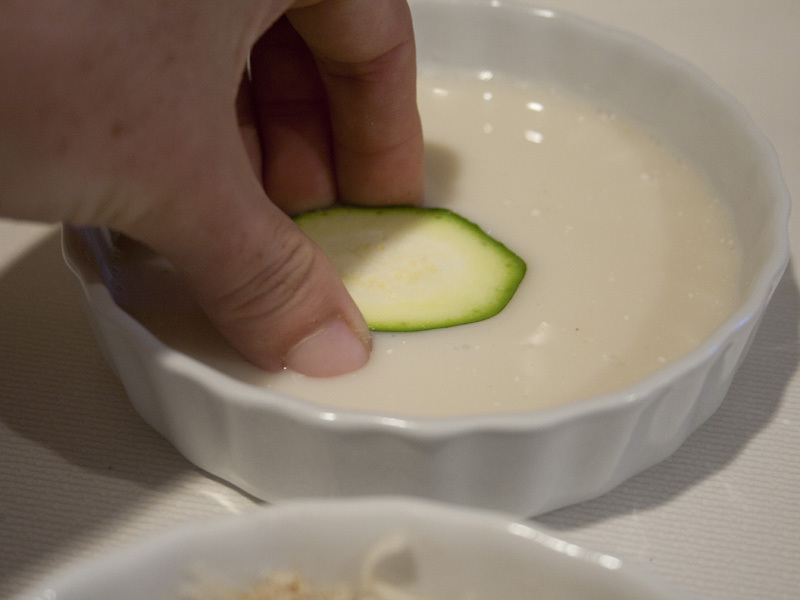 Place milk in a shallow bowl. 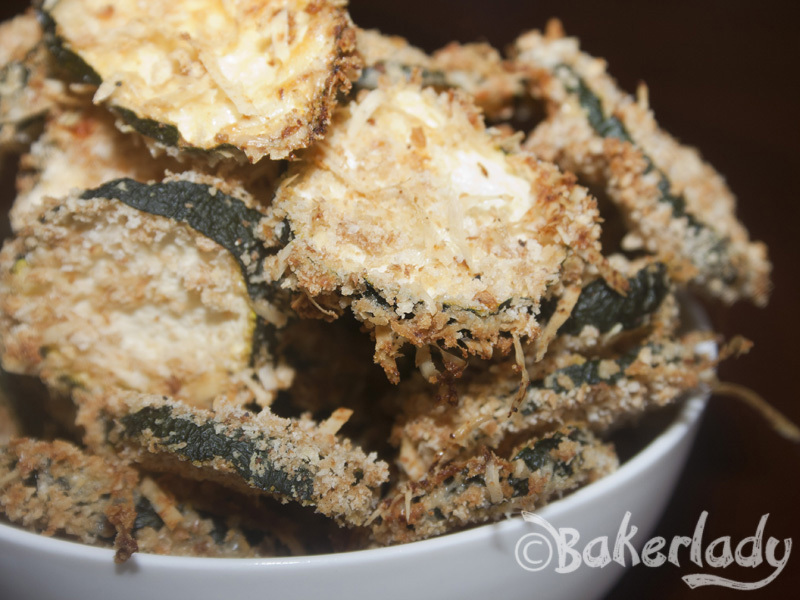 Dip zucchini slices in milk, and dredge in breadcrumb mixture. Place coated slices on an ovenproof wire rack coated with cooking spray; place rack on a baking sheet, spray tops with cooking spray.